Successfully saved Thyme Roasted Chicken with Grapes and Burrata to your Calendar. You can also save the ingredients to your Grocery List. 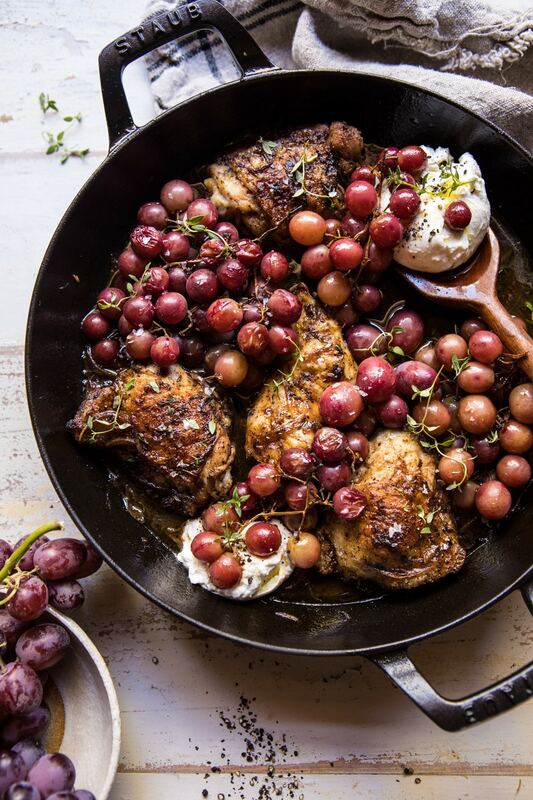 Thyme roasted chicken with caramelized shallots, bacon, and grapes, served with fresh burrata cheese…all made in one skillet. This is all things simple, easy, and delicious. Perfect for weeknights, but hearty enough for a Sunday night dinner!